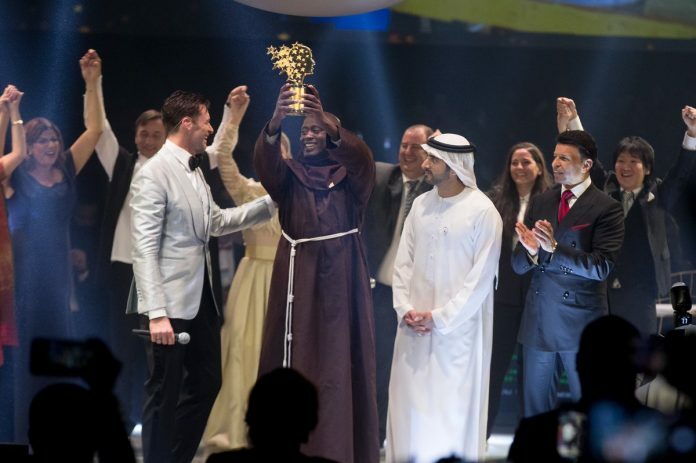 Brother Peter Tabichi, a Kenyan Franciscan teacher from a remote village in Kenya who teaches in a secondary school has won the annual 2019 Varkey Foundation Global Prize in a ceremony held in Dubai. A mathematics and science teacher Brother Peter was chosen out of 10,000 nominations coming from 179 countries globally. For several years, Tabichi has been leading his poorly-resource school to emerge victorious in taking on the country’s best schools in national science competitions. “Every day in Africa, we turn a new page and a new chapter… This prize does not recognize me but recognizes this great continent’s young people. I am only here because of what my students have achieved“. Brother Tabichi said after receiving the global award. “This prize gives them a chance, it tells the world that they can do anything”, He added. This was the fifth time the Dubai – based Varkey foundation was handing over the price. The foundation organizers praised and congratulated Tabichi for his hard work, dedication and passionate belief in his student’s talent. 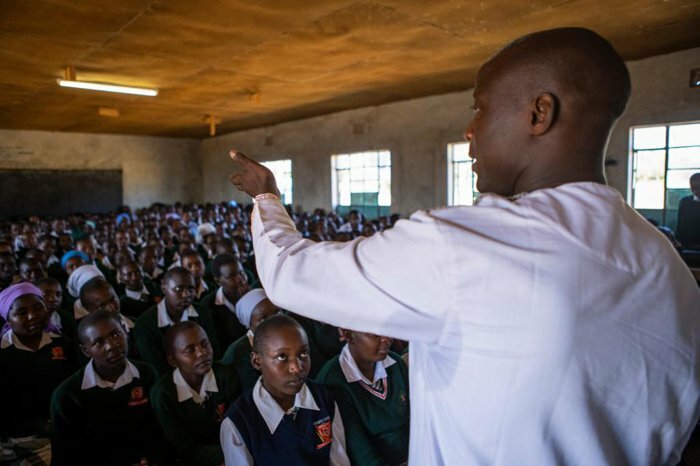 At the age of 36, Tabichi teaches at Keriko Mixed day Secondary School in Pwani village, in a remote, semi-arid part of Kenya where drought and famine are often experienced. Majority of the pupils in the school, come from very disadvantaged families and a big number of them are total orphans, others are either maternal or paternal orphans. Due to the poor condition of the area, brother Tabichi took an initiative of paying school fess for some of the needy students. In fact, 80 percent of his salary goes to paying school fees for a number of needy students in the school he teaches and others in other schools within the village. Apart from poor resources, the school where Brother Tabichi teaches has no enough teaches. The school has a student-teacher ratio of 58:1 and has got only one desktop computer. Despite such challenges, Tabichi uses ICT in his lessons to engage the students. 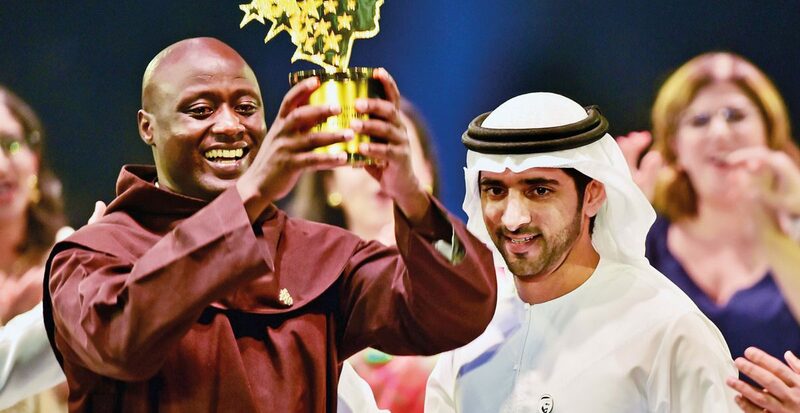 Without giving up because of the limited possibilities of his school, Peter Tabichi created a club for the development of talents and peace-building, a scientific club to encourage students to design research projects. Many of them have taken part in international scientific competitions. One of them won an award at the Royal Society of Chemistry, after proposing a project on local power plants. In addition, Tabichi teaches his students to share, to dialogue, he organizes sports activities and tree-planting. He also teaches the members of the local community to cultivate with water-saving techniques. Thus, enrolment in the school has doubled, reaching 400 students in three years and, in particular, the results of the girls have greatly improved. Brother Tabichi received congratulatory messages from all over Kenya and outside. Among those who congratulated him was Kenya’s’ President Uhuru Kenyatta who through a video message congratulated Tabichi. “Your story is the story of Africa, a young continent bursting with talent”. Said the head of state. Many and especially his students and other teachers at the school have described him as a humble, committed and hardworking teacher who has made his students love mathematics and physics. Tabichi has not only broken the history as the first African teacher to win the award but also broke the record as the first male teacher to win the $ 1 Million award.